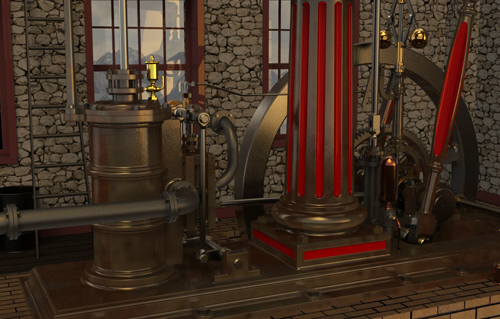 This classic “Single Column” Beam Engine design dates back to the earliest days of steam technology. 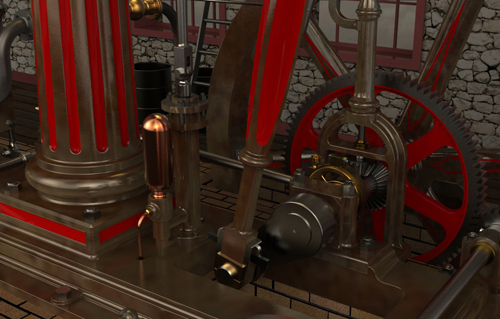 Thomas Newcomen is generally credited with first applying a “piston-in-cylinder” around 1712, when he was 49 years of age. Known as an “atmospheric” engine, it used the principle of the vacuum resulting from the condensation of steam to create reciprocal motion. 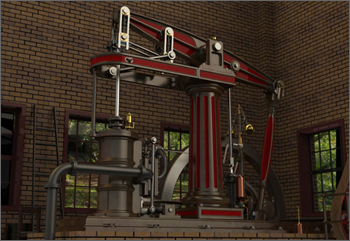 It was used to power water pumps to drain the deep coal mines in England. 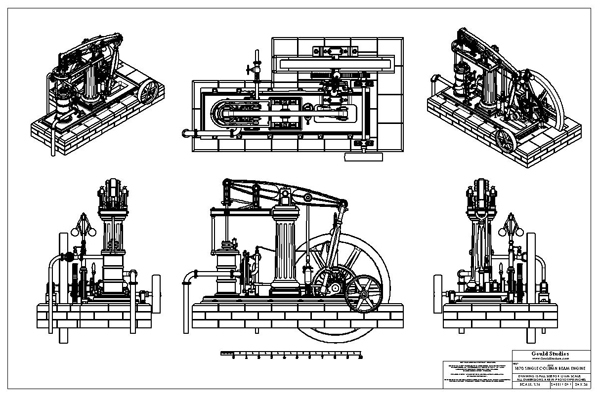 However, in the 1780’s the brilliant designer and engineer James Watt applied these principles to a crank, thus creating rotary motion from fluid pressure. 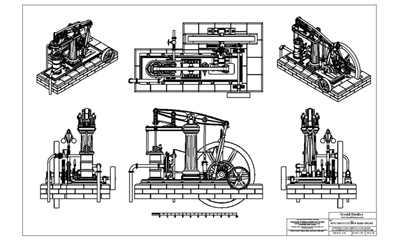 The firm Boulton and Watt became the leader in the field, and Watt’s invention of the Separate Condenser is considered the single most important development in the evolution of steam power technology. 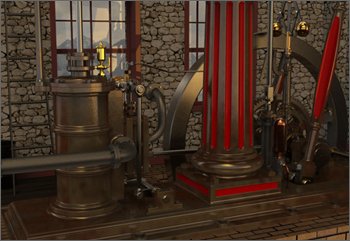 The Beam Engine was made from the early 1800’s until around 1890, and some are in use today. A very simple and robust design, they were often quite elegant and always well maintained. 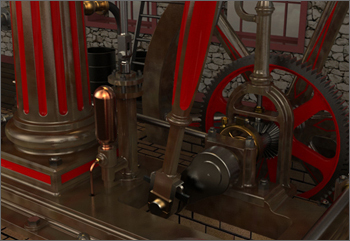 The most important feature of the Beam Engine is the application of the famous “Watt’s Parallel Motion” to translate the straight-line motion of the piston to the large reciprocal “beam”, and thence to the crank and flywheel. The Parallel Motion resulted from many years of difficult design and testing by Watt until it was perfected. 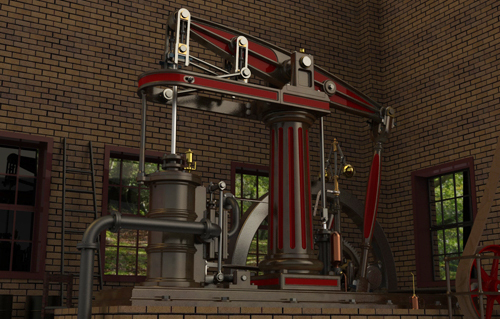 They were used most often to power small factories and textile plants, pumping plants, and small machine shops. They ran slowly and gracefully, and were especially quiet in operation. 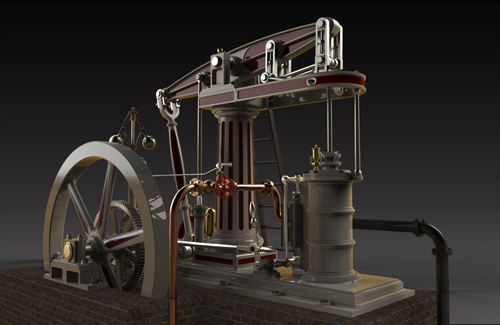 My Beam Engine CAD model was reverse engineered from many sources, and is representative of the most common design of the era.